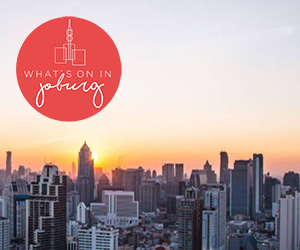 The opening night of Mass Hysteria filled the Artscape Opera House – to the apparent surprise of the comedians – with an eager audience patiently waiting to have fits of uncontrollable laughter. The seven comedians, each with their own social commentary, knew no bounds as they tackled controversial issues with ridicule. The warm-up act – newcomer Schalk Bezuidenhout – set the stage with jokes about Dutch television programmes, his days in the choir, and getting coal for Christmas – something Afrikaans kids would supposedly love as they could use it to braai. 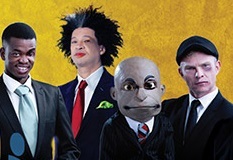 The main comedians’ acts were preceded by a video introducing them as ministers within the ‘government of comedy’, from the Minister of Non-communicative Diseases (John Vlismas) to the Minister of Ben 10s (Tumi Morake), all bearing a striking resemblance to our real members of parliament. The vivacious Morake, the only female comedian of the show, opened with a series of racially based jokes, drawing most of her material from her own family. Undeniably, the funniest of the evening was Mpho Popps Modikoane, a master of animated gestures and expressions that would still be funny without the jokes that accompanied them. Vlismas’ callous – which he calls truthful – humour about overweight, disabled and stupid people, has you feeling too guilty to laugh, but you do anyway. The man probably also holds the world record for saying the f-word. Veteran comedian Marc Lottering relentlessly pokes fun at himself while maintaining a sarcastic yet enthusiastic demeanour. While I didn’t find him that funny, he has a loyal following that he faithfully appeals to – and they love him for it. Conrad Koch is definitely not the greatest ventriloquist out there, but Chester Missing’s satirical approach and mockery of Koch make up for it. Th act most relevant to his ministerial position was crowd favourite Alan Committie, The Minister of Upgrading, Downsizing, Insighting and Outsourcing. He detailed his upgrade to DStv Explora and reduced a series of inspirational-quote images from social media to nonsense, all while using the audience as victims for his comedy. Last on stage was Loyiso Gola, whose accents and interpretations were on point as usual. Although some of his act borrowed from his one-man show Loyiso Gola Live, it was somehow just as funny as the first time I saw it, if not more so. Mass Hysteria features a talented group of comedians that will have you entertained throughout the show. It’s a must-see for all comedy lovers.